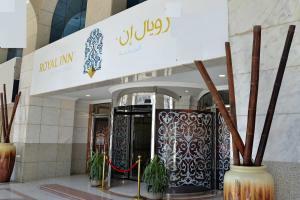 Conveniently located in Medina, Madinah Hilton is a great base from which to explore this vibrant city. The excitement of the city center is only a kilometer away. A haven of rest and relaxation, the hotel will offer total renewal just steps away from the city's numerous attractions like Al-Masjid Al-Nabawi, Green Dome, and Al Baqi Health Center. 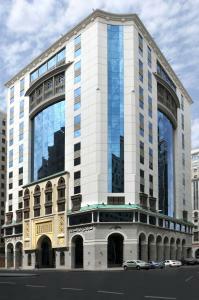 Hilton Worldwide is renowned for its quality services and friendly staff, and Madinah Hilton lives up to expectations. The hotel provides safety deposit boxes, Wi-Fi in public areas, 24-hour room service, a car park, and a concierge to ensure guests the greatest comfort. Experience high quality room facilities like a hair dryer, desk, daily newspaper, and internet access to help you recharge after a long day. The hotel's host of recreational offerings ensures you have plenty to do during your stay. Madinah Hilton is a smart choice for travelers, offering a relaxed and hassle-free stay every time.